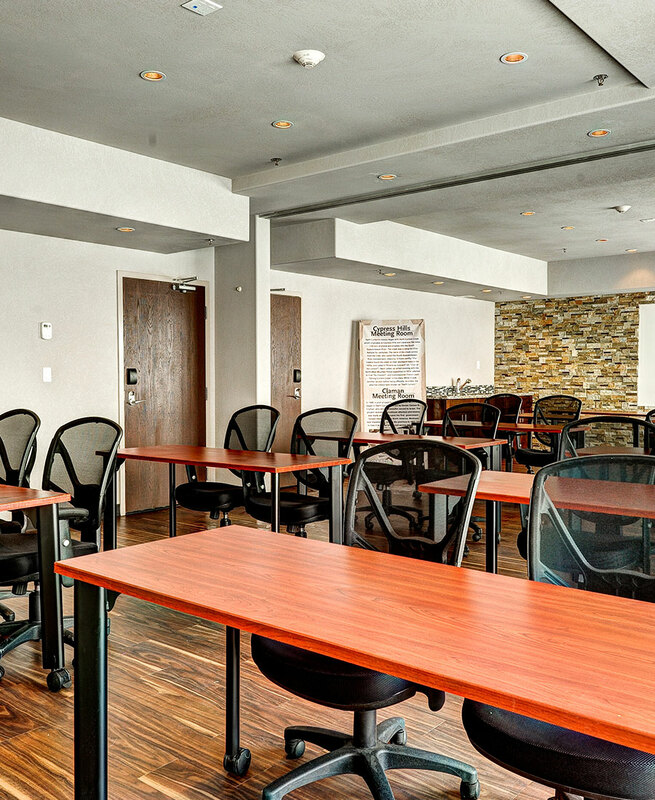 We invite you to host your next small meeting or event at our hotel, ideally located close to the Regina International Airport. Our naturally lit meeting space is a perfect backdrop to host your guests. 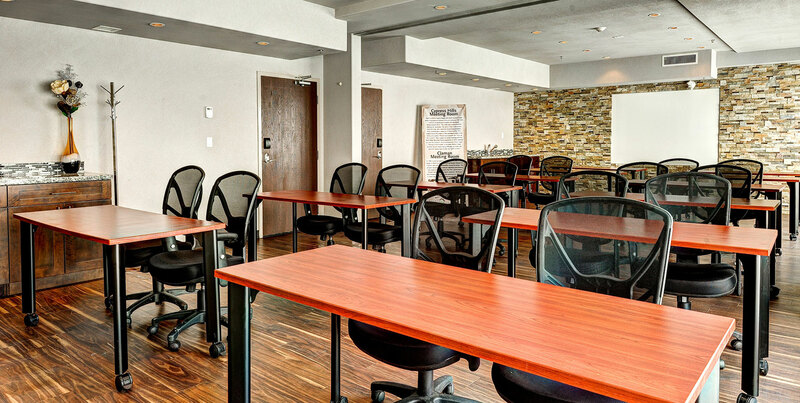 The meeting and event space is 32’6’’ x 19’4’’ and can comfortably accommodate up to 30 people, and features a built-in LCD projector, a whiteboard, and large windows. These facilities are perfect for small weddings, reunions, birthday parties and other small gatherings, as well as business and corporate events. Call us today at 306-546-4663 to receive a quote or set up a site tour be sure to review our group and team packages as well as our preferred rates for the best pricing on your hotel accommodations with us. Home Inn & Suites requires 48 business hours advance notice of the guaranteed number of guests attending your function. In the event we do not receive a guaranteed number, we will use the last number given to us. Applicable taxes will be applied to your total bill. All room rentals are subject to 5% GST. Prices may change without notice and can vary depending on individual group requirements. Please contact us directly for a quote. Event accommodations at Home Inn & Suites - Regina Airport requires a valid credit card to confirm the event. An authorization form must be filled out in advance. At the conclusion of the event, the charges may be paid for via credit card, debit or cash. If payment has not been provided, the credit card on file will be charged. Once payment has been received, a receipt will be given. Direct Billing may be set up in advance. Processing of a direct billing account can take up to five business days. A $75 cancellation fee will be assessed if cancellation occurs within four business days of the function. If a cancellation occurs less than 24 hours before the scheduled start of the event, full charges for the event including any food and beverage, audio visual equipment and rental space will be charged. We request that you adhere to the start and finish times of your function. The space is only booked for the time indicated. All personal materials must be removed from the banquet room at the end of each day, unless reserved on a 24 hour basis. Audio-visual equipment and catering services are available upon request for a fee. Please see our Meeting Planning Guide for our full menu.